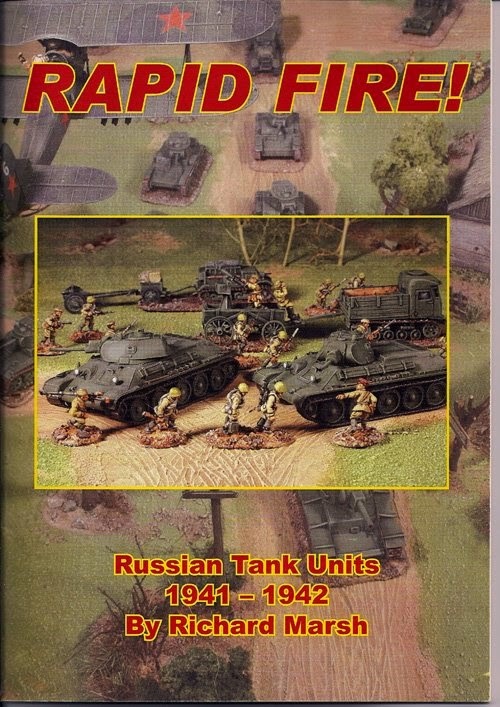 Rapid Fire Wargaming Rules by Colin Rumford and Richard Marsh is a set of fast play miniatures rules which enables players to re-fight brigade-level combined arms engagements during WW II. Provides an interesting mix of supporting weapons to go with your infantry, such as artillery, aircraft and armour. Very good rule set to introduce players to World War II miniature gaming. Rules explanation backed by 100 + photos and 30 diagrams. 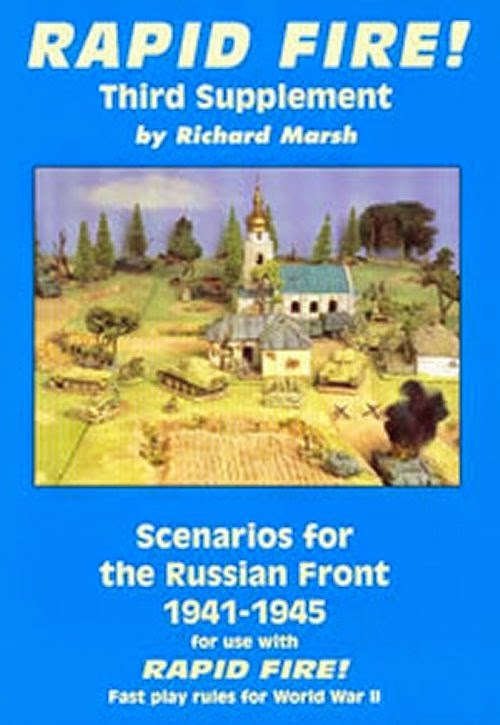 Fast Play World War Two Wargames Rules For use with 20mm Miniatures. Plus 8 pages of colour Photographs. Handy, points-balanced battlegroups that capture the ‘feel’ of the May 1940 campaign. Battlegroup organisations for fifteen German, British and French divisions involved in some of the fiercest fighting. Build large or small forces, with 400 point, 200 point and customised battlegroups for each division. Equal points battlegroups give both sides a fighting chance, or pit higher points attackers against lower points defenders. Rule points, painting tips and photo inspiration for your battlegroup building. 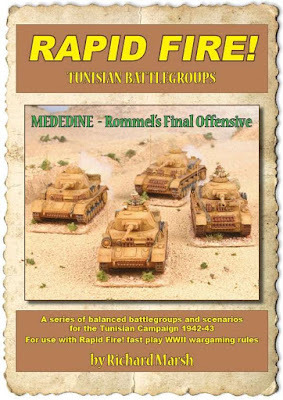 Medenine – Rommel’s Last Offensive’ is the first in a new pdf series extending our popular Battlegroups concept to the Tunisian Campaign. In March 1943 Rommel launched his last attack in North Africa against the spearhead of Monty’s 8th Army in Southern Tunisia. 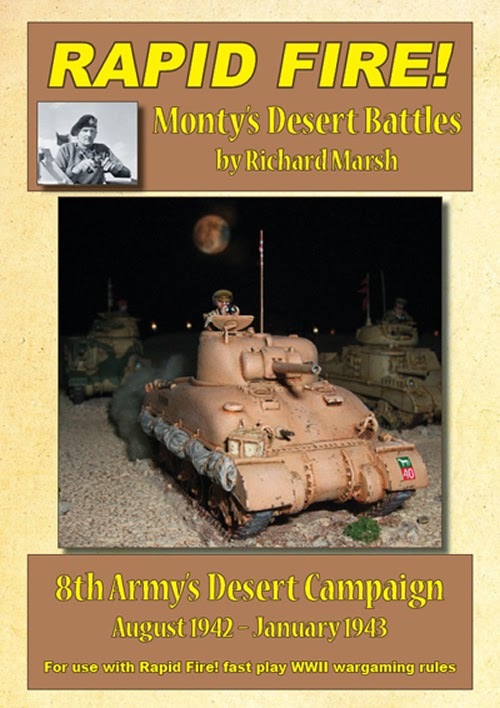 Pit the famous desert rats of 7th Armoured Division against the re-equipped desert veterans of 15th Panzer Division in this follow up to our ‘Monty’s Desert Battles’ book and pdfs. 400 point and 200 point (+50 point options) graphic Battlegroup orbats for British 7th Armoured Division and 15th Panzer Division in March 1943. Medenine’ scenario with historical background, special rules and battle map. 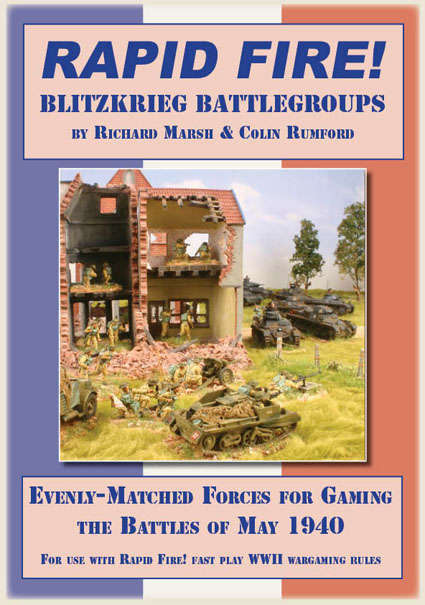 Two fictional scenarios to fight with other battlegroup configurations. Terrain tips and plenty of action photos of model vehicles, guns and figures to aid your modelling and painting. 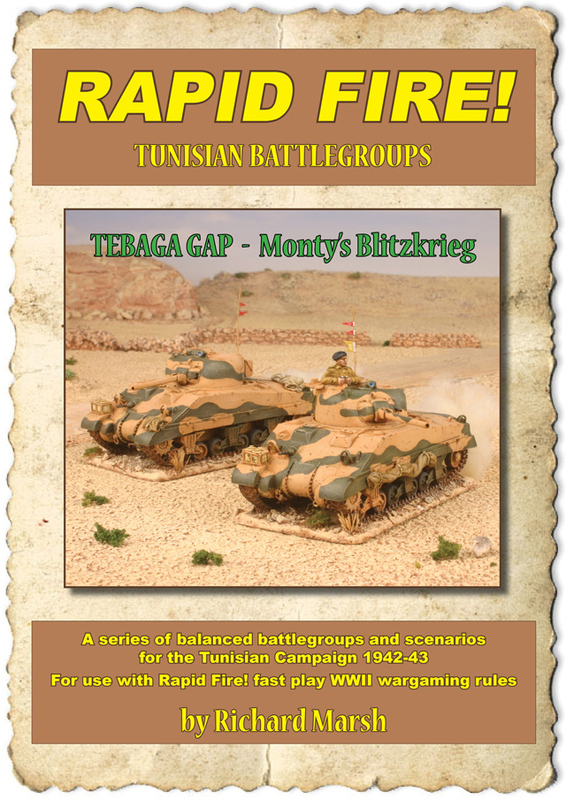 ‘Tebaga Gap — Monty’s Blitzkrieg’ is the second of the pdf scenario series that extends our popular Battlegroups concept into the Tunisian campaign of 1943. After Monty’s victory at Medenine 8th Army advanced on the fortified Mareth Line, with Monty hedging his bets by sending 2nd New Zealand Division (expanded to a corps) to outflank the defences and threaten the narrow Tebaga Gap. When the Mareth attack failed the New Zealanders were reinforced and the Gap was attacked in 8th Army’s first true air and ground ‘Blitzkrieg’. • 400 point and 200 point (+50 point options) graphic Battlegroup orbats for 2nd New Zealand Division/Corps and 164th Light Africa Division in March 1943. 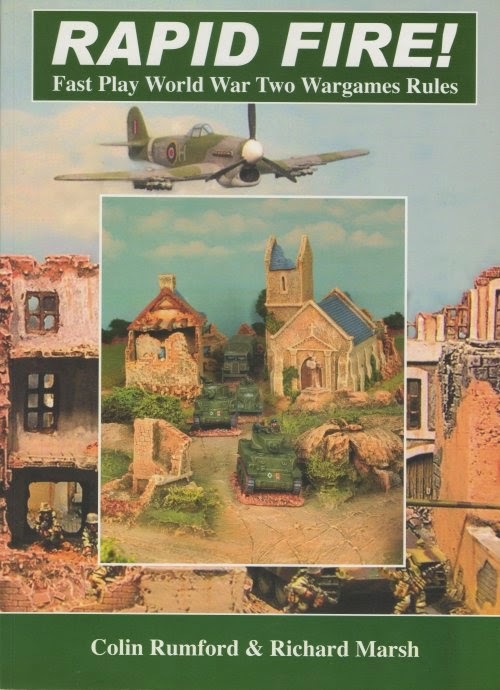 • Divisional level ‘Tebaga Gap’ scenario with historical background, special rules and battle map, plus added airpower and Axis hidden marker sheet. 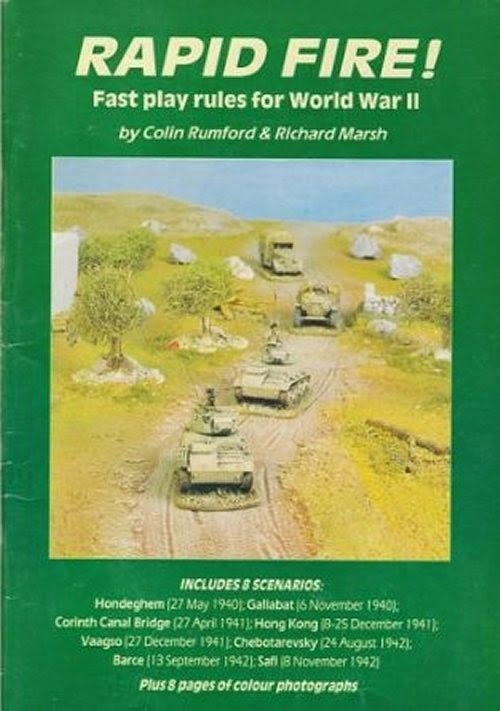 • Bonus ‘Raid on 1st Armoured’s Rear’ scenario. A fast and furious game to play over and over! • Action photos of model vehicles, guns and figures to inspire your modelling and painting. 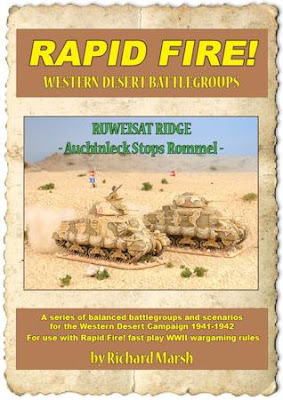 Ruweisat Ridge – Auchinleck Stops Rommel is the first in a new PDF series extending our popular Battlegroups concept back to the Western Desert battles that preceded El Alamein. In May 1942, Rommel inflicted his most catastrophic defeat on 8th Army at Gazala. General Auchinleck had to gather his retreating forces at the El Alamein 'choke point' or Eygpt and the Suez Canal were lost. Pit the under-strength veterans of 21st Panzer Division against the makeshift remains of 1st Armored Division and the cobbled together 'Robcol' mobile column in this 'prequel' to our Monty's Desert Battles book and PDFs. 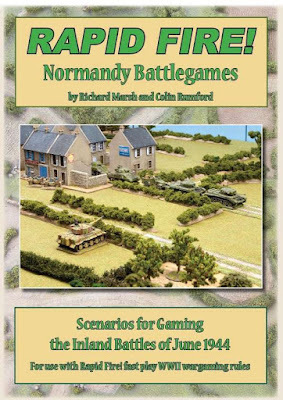 A full colour, fully illustrated order of battle book for recreating the Normandy battles in June 1944. Manageable forces that capture the feel of the key divisions. 400 point, 200 point and custom units representing British 3rd and 50th Infantry Divisions, British 7th Armoured Division, Canadian 3rd Infantry Division. US 101st Airborne, 2nd Armored and 29th Infantry Division, German 21st Panzer, 12th SS Panzer, Panzer Lehr, 352nd Infantry, 17th SS Panzer Grenadier, 91st Air Landing Divisions and 6th Fallschirmjager Regiment. Points-balanced battlegroups give both sides a fighting chance of victory. Twelve historical scenarios to fight with the forces from Normandy Battlegroups. Historical backgrounds, battle maps, victory conditions and organisational variations. New standardised terrain system that makes setting up simpler. Two new Battlegroups in graphic format for British 6th Airborne and US 82nd Airborne Divisions. 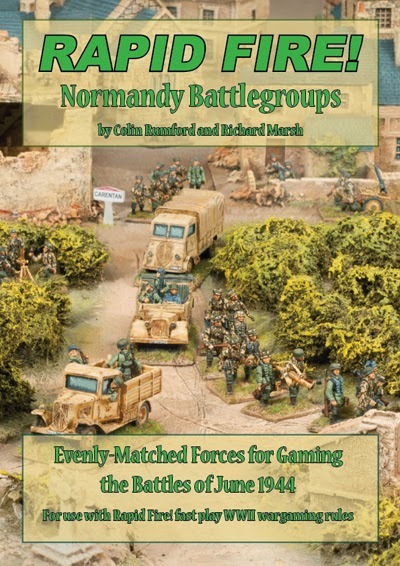 Includes a Battle for Carentan mini campaign. 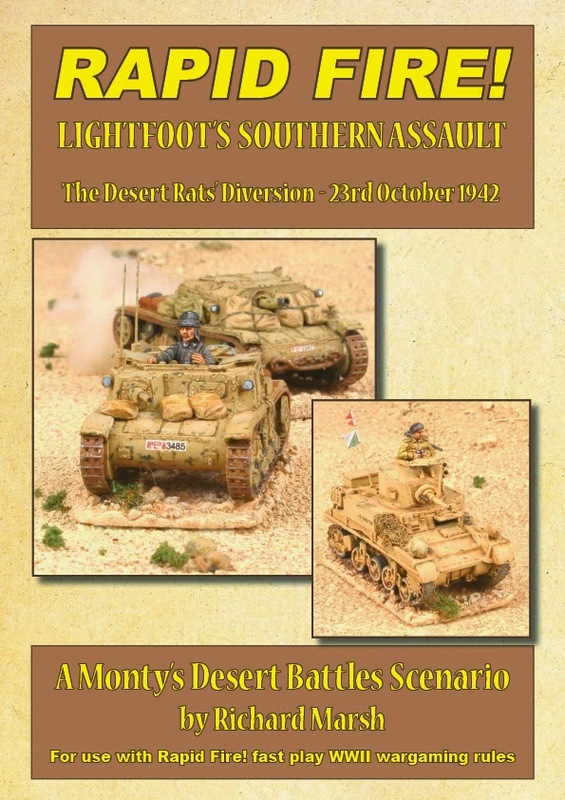 'Lightfoot's Southern Assault is the latest scenario for 'Monty's Desert Battles' in pdf format only and completes our coverage of this epic battle. It depicts the diversionary attack in the south by 7th Armoured Division during the battle of El Alamein and is a companion game to the Naqb Rala and Lightfoot' scenarios in our 'Monty's Desert Battles' book and our last pdf, Lightfoots Left Flank. 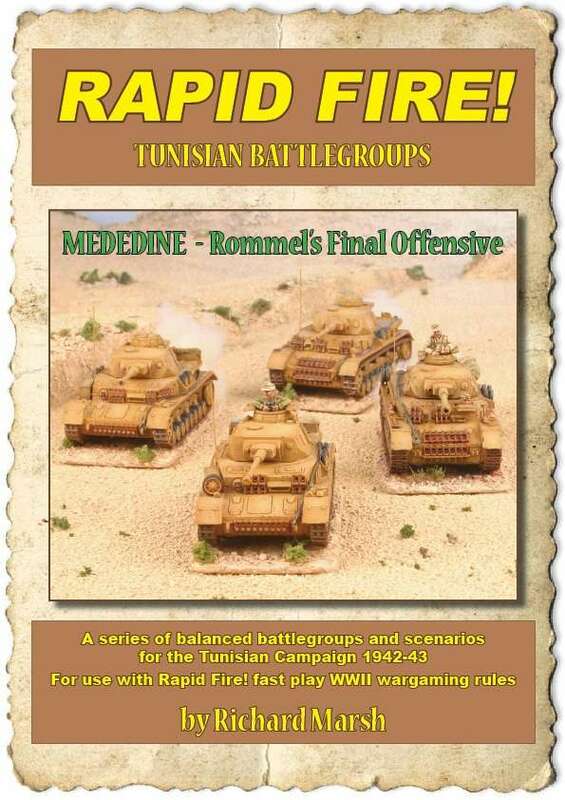 Play this scenario alone or combine it with the other scenarios to fight the whole of the Battle of El Alamein. An ideal club project to commemorate the 70th anniversary. Take command of the Desert Rats or the tough paratroopers of the Folgore Division and Ramcke Brigade. Can 7th Armoured break through the Axis minefields and keep 21st Panzer Division pinned in the southern part of the Alamein battlefield? Or will the resolute Axis paratroops inflict enough casualties to force a Desert Rat withdrawal? Played at the reduced divisional level RF ratio, 'Lightfoot's Southern Assault', features less formidable minefield defences and a large scale tank assault, all played on a recommended 8' x 5' size table. The 'Lightfoot's Southern Assault' pdf includes background history, special rules, battle map, full graphic orbats for both forces and no less than 24 new photographs! You will need a copy of 'Monty's Desert Battles' to play this game. 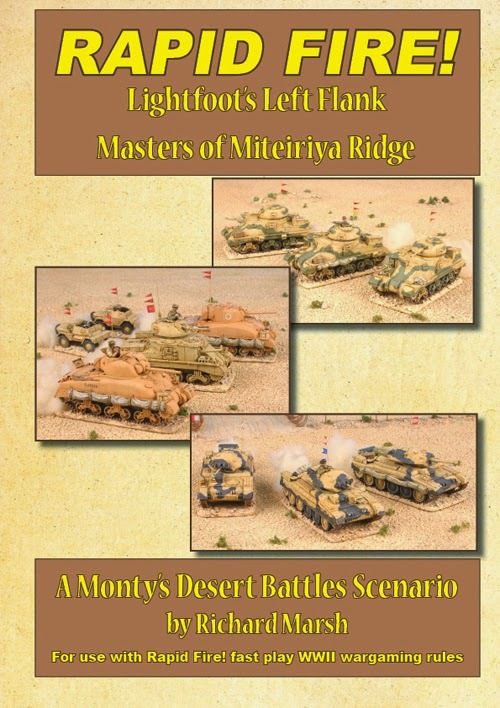 'Lightfoot's Left Flank - Masters of Miteiriya Ridge' - is a new scenario for 'Monty's Desert Battles' in pdf format only. 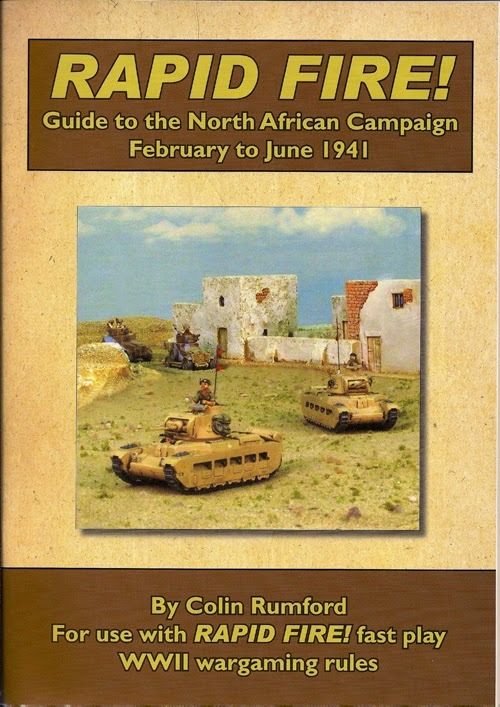 It covers the left flank of the main northern 'Lightfoot' assault during the battle of El Alamein and is a companion game to the Lightfoot' scenario in our 'Monty's Desert Battle's' book. 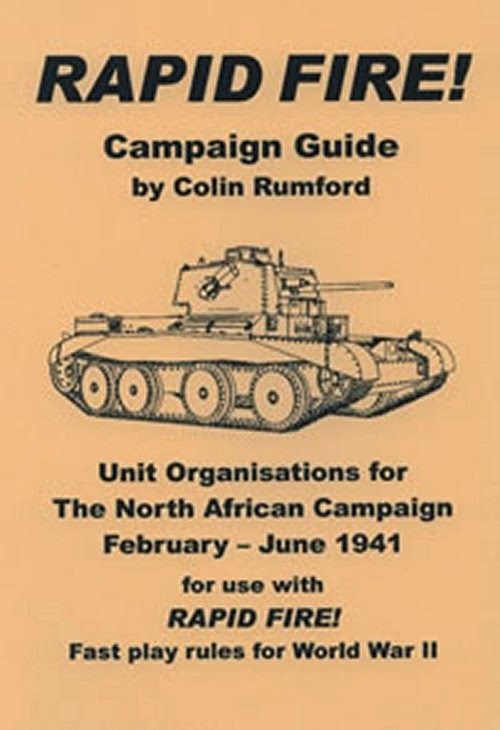 Play this scenario alone or combine it with 'Lightfoot' to fight the whole Northern assault: an ideal club project to commemorate the 70th anniversary of the Battle of El Alamein on October 23rd 2012. Take command of the gutsy South African and New Zealand infantry brigades and the 'breakthrough' armour of 10th Armoured Division, or dig in as the Axis commander of the tenacious German and Italian defender. 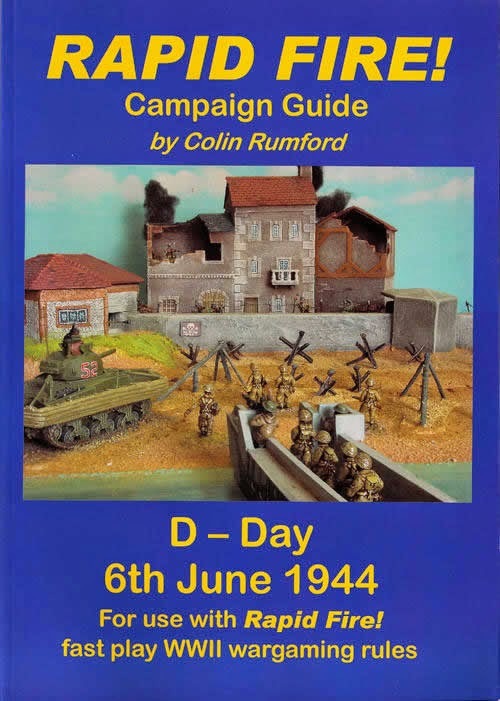 Played at the reduced divisional level RF ratio, 'Lightfoot's Left Flank ', like 'Lightfoot', features minefield defences, large scale infantry assault, and even more attacking and counter-attacking armour, all played on a recommended 9' x 6' size table. The 'Lightfoot's Left Flank' pdf includes background history, special rules, battle map, full graphic orbats for both forces, 15 new photographs and details of how to combine it with 'Lightfoot' to re-fight the greatest desert battle in history! Battle of the Bulge recreates the winter battle for the forests, hills and villages of the Ardennes region in 1944/45. 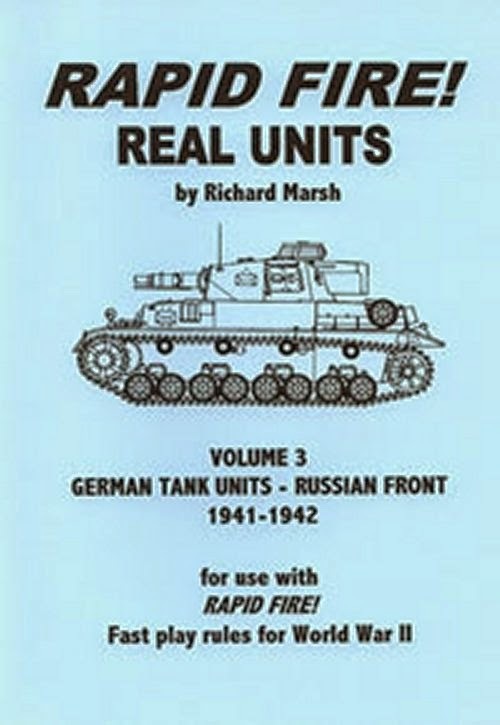 Detailed research - including three visits to the Ardennes battle sites in winter - gives the games in this book added authenticity, with the usual RF! attention to playability. 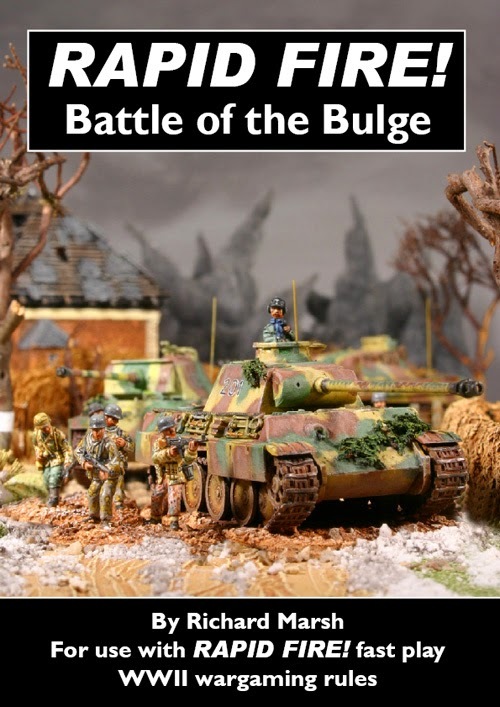 You'll also find plenty of information to help you create your own 'Bulge' armies and typical scenarios. 72 pages in full colour! A unique 'what if?' mini-campaign, simulating the Allies' greatest fear: a breakthrough to the River Meuse by Kampfgruppe Peiper. Maps showing key locations and Kampfgruppe Peiper's route. Many transferable units and rules for other NW Europe games. 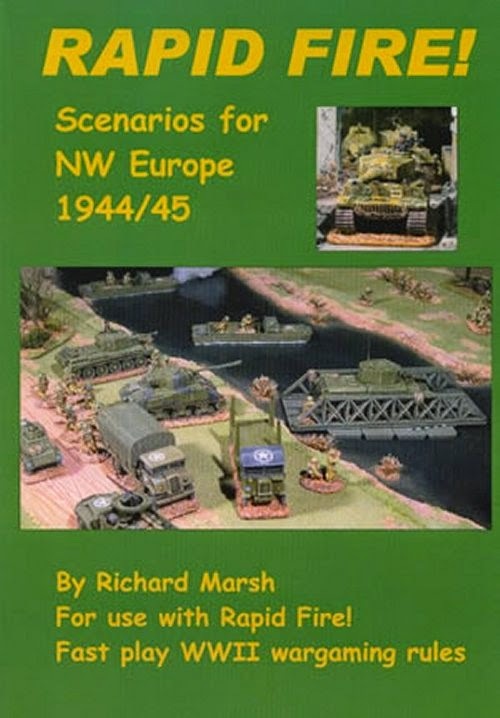 Between them, the scenarios cover every month of the NW Europe Campaign and the whole range of troops, equipment and tactical situations, including beach landings, river crossings, airborne assaults and daring raids. Inside, you'll find a game-friendly layout, with new-look maps and special rules combined on the same page, backed up by historical background, game objectives and full orders of battle. Each scenario also has its own Game Notes page, with information and hints on terrain, game design and tactics, plus all the key fighting vehicle and gun data you need to play. The book also boasts 8 colour pages with 29 action shots of the models and figures used to game-test the scenarios: all of them close-up enough to double as painting and modelling guides. 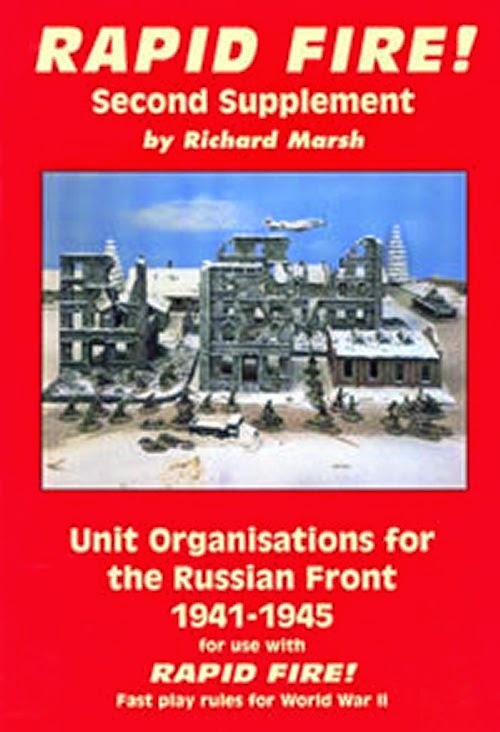 Finally, the book includes black and white photographs, maps, tactical diagrams and hints on painting and modelling. It's the complete package for the W.W.II gamer and for other miniatures players who want to try something new! Contains orders of battle for all the forces committed to the invasion and units defending the Normandy coastline on 6th June 1944. Historical summaries of Allied objectives and actual events. 72 pages + 8 pages of colour plates. Featuring the major engagements from Rommel's arrival in Africa to the abortive Operation Battleaxe. Suggestions on how to create 'scaled down' representation of these major formations. 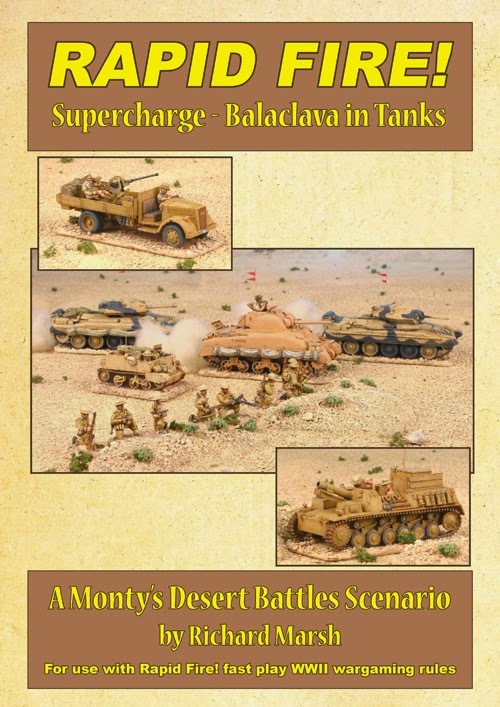 Operation Supercharge - Balaclava in Tanks' - a new scenario for 'Monty's Desert Battles' in pdf format only. As featured on the cover of 'Monty's Desert Battles', Operation Supercharge is a large brigade level game representing the crucial 'break in' battle at El Alamein that triggered the end for Rommel's forces. Take command of the heroic 9th Armoured Brigade in the attack that few expected to return from, or muster the dogged Axis defences to blunt 8th Army's advance in this epic desert conflict. Played at the normal RF ratios, 'Operation Supercharge' features a much weaker minefield defence, an infantry assault, and attacking and counter-attacking armour, all played on a recommended 8' x 5' size table. The 'Operation Supercharge' pdf includes background history, special rules, battle map, full graphic orbats for both forces and 14 new photographs! 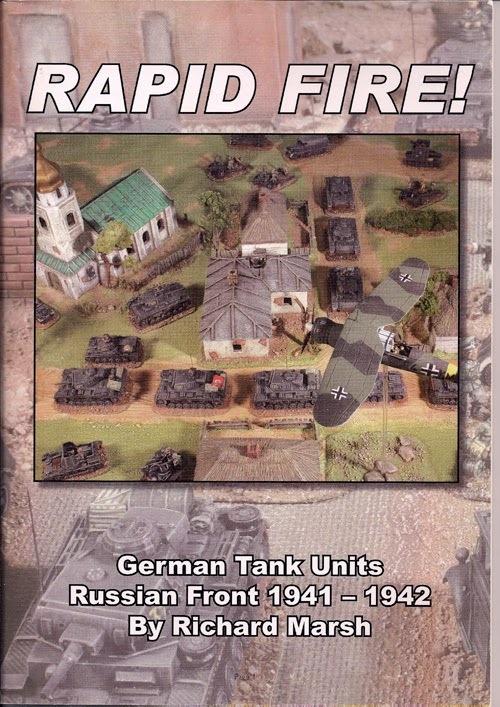 Includes panzer units at Kharkov and Stalingrad,the organisation of early kampfgruppen and lots of specialist units. 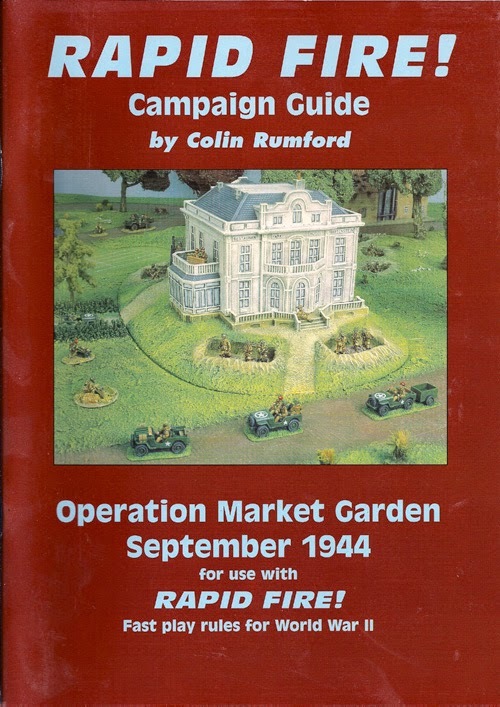 Packed with historical and modelling information. 72 black and white and 8 colour pages. 14 diverse scenarios including cavalry actions and amphibious landings with rule suggestions for winter and house to house fighting. 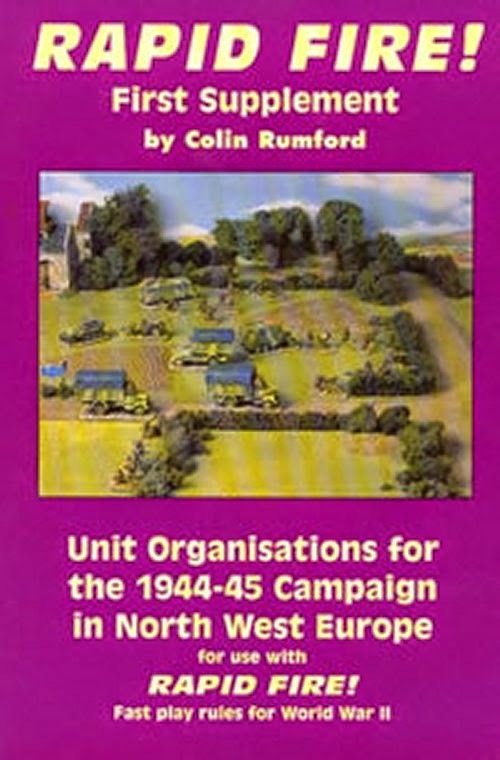 Standard units and formations for the 44/45 campaign in NW Europe. 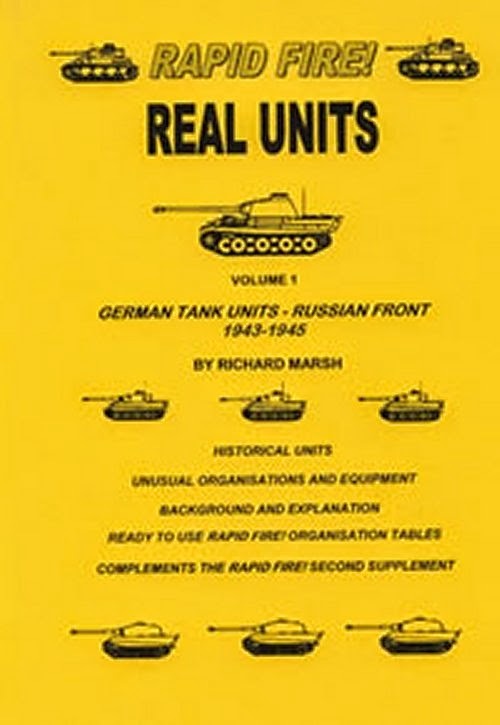 Details of actual units including the 6th Panzer Division at Kursk and the short lived Panzer Brigades. 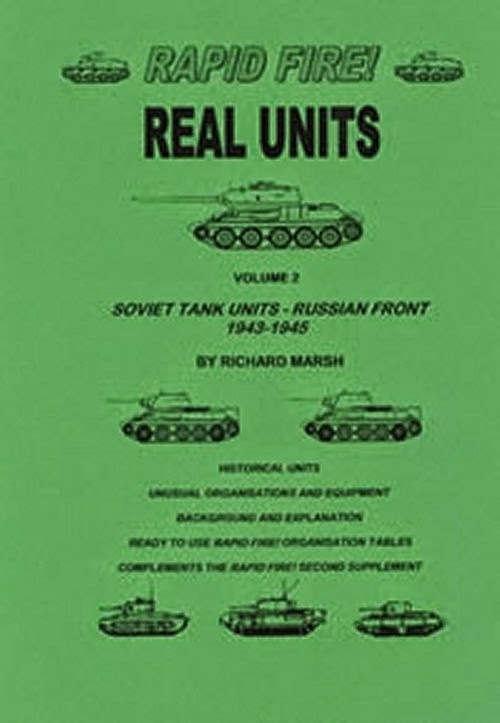 Early Soviet units including the mixed arms tank brigades. 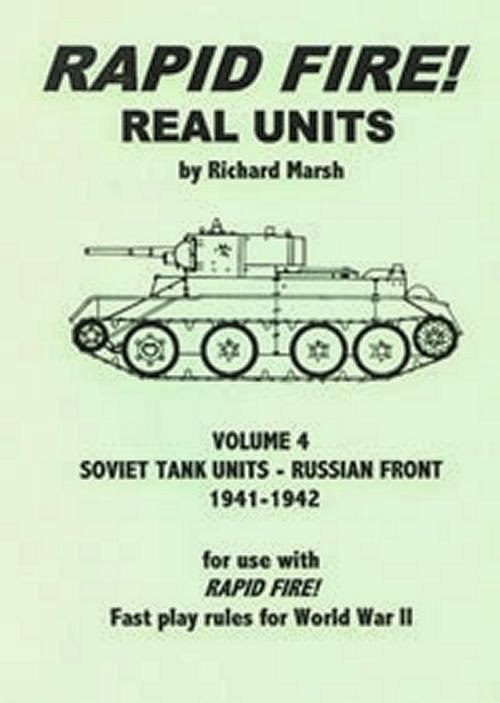 Late war Soviet units including heavy tank regiments and details of American tank formations. Lots more actual German panzer units for the early war period including the forces engaged at Stalingrad. A historical summary detailing events from Rommel's arrival in the desert to the British attempt to relieve Tobruk Operation Battleaxe. Orders of battle to all the major engagements.